100% clean to the naked eye !! 100% limpia al ojo desnudo !! H Color Diamonds are known as either 'near colorless' or 'rare white'. 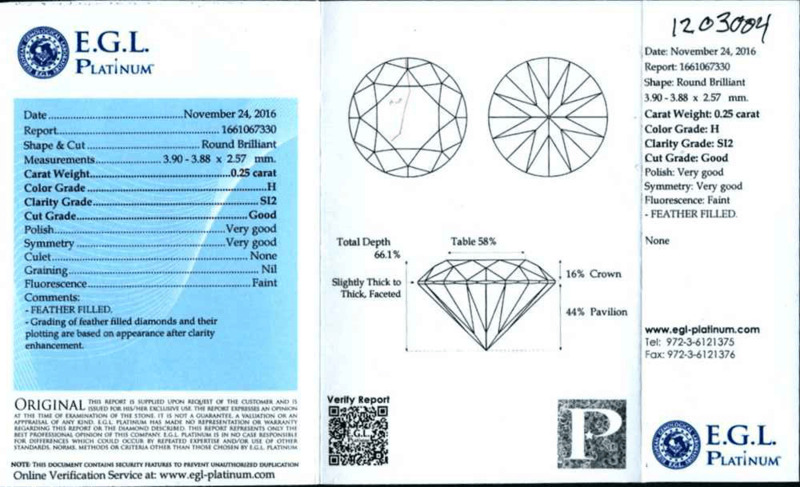 The H diamond color is the highest selling diamond due to its near colorlessness and great value for money. "thanks al lot for all your help denisse and david"